ndersen Drive was reopened on Thursday morning on July 5, 2018. The roadway which was shut down for the installation of the SMART rail tracks underwent some significant reconstruction to allow the new rail tracks to be installed. In addition to the rail system new signals, and pathways adjacent to the tracks at the crossing were installed. Cyclists are encouraged to utilize the new pathways to cross the tracks perpendicular to the rail system and then re-enter the roadway to travel on Andersen Drive. While the roadway is open to the vehicles, cyclists and pedestrians additional construction should still anticipated in the area while the rail and the Multi-Use Pathway are being constructed. 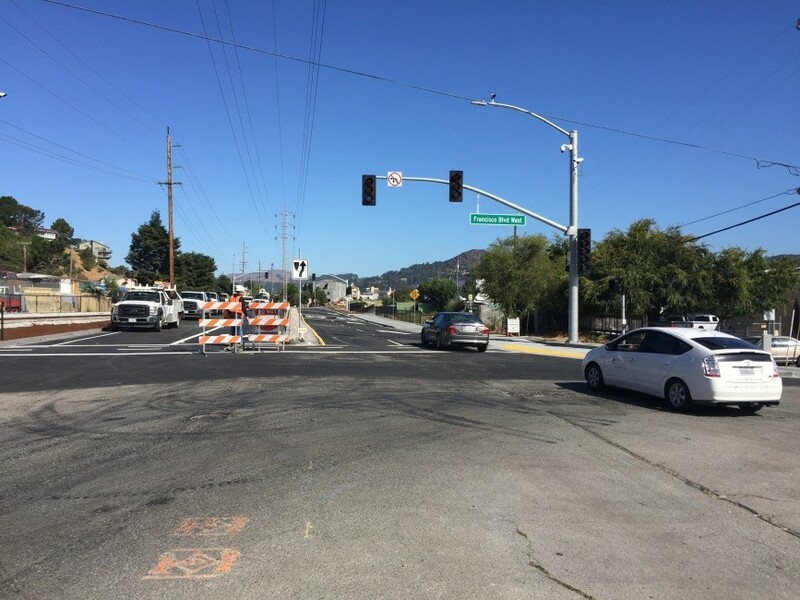 Shortly after Andersen Drive was re-opened to the public, Francisco Blvd. West was closed from 2nd Street to Rice Drive. 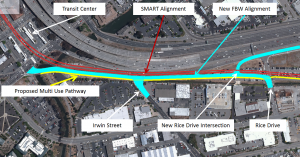 SMART will be reconstructing the roadway and the rail system in this area for approximately the next 6 months. The work will consist of removing the existing roadway and realigning the rail tracks to eliminate two at grade crossings in the area. Access through this area will not be possible during the construction and vehicles, pedestrians and cyclists should utilize Andersen Drive as a bypass for traveling north and south through San Rafael in this area.